As technology continues to improve and progress, more and more advanced computer technologies are constantly improving. 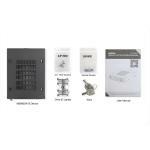 These improvements include maximizing enhanced functions in smaller and compact packages. This is why 2.5” solid state drives and hard drives are becoming more popular due to its low power consumption and space-saving benefits, which are superior to 3.5” SATA hard drives in almost every category. Combine with the extra bandwidth of the SSDs and the raw power of the processors; enterprises are able to accelerate their project-development process more efficiently. Since 2.5” SSDs and HDDs have smaller storage capacities compared to 3.5” hard drives, maximizing the storage density in limited spaces have become the most important task for many storage consulting firms; a task they often encounters. 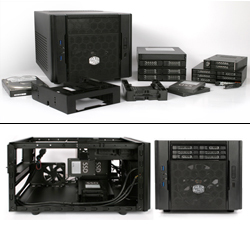 The ToughArmor MB993SK-B is designed specifically for systems with storage space limitations by fitting 3 x 2.5” SSD / HDD into a single external 3.5” drive bay, maximizing the entire space of external 3.5” drive bay. On top of that, the MB993SK-B is built with heavy duty full metal construction which is commercially suitable for medical & military systems, government agencies, Industrial PCs, SMB workstations, VM workstations, mobile DVR systems, aerospace computers, automation systems and embedded systems. 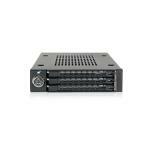 Utilizing its small form factor, The MB993SK-B is perfect for use in industrial PCs, SMB SFF servers, mobile DVR systems, or even home servers. 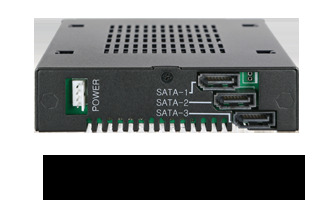 The ability to house 3 x SATA SSD or HDD in a single external 3.5” drive bay makes it a valuable asset, as several different configurations can be implemented. 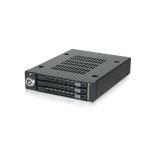 With three drives, users can access all drives individually, making a perfect solution for systems that are constantly swapping between multiple OS drives or simply for storage in a small space. 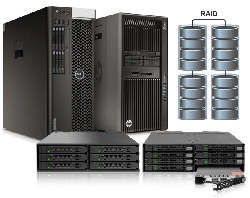 Moreover, in a system with three drives, it is ideal to have RAID 5 setup to achieve its fast performance along with data protection or use two drives for RAID 1 mirror data-protection and RAID 0 for doubling the transfer speed. 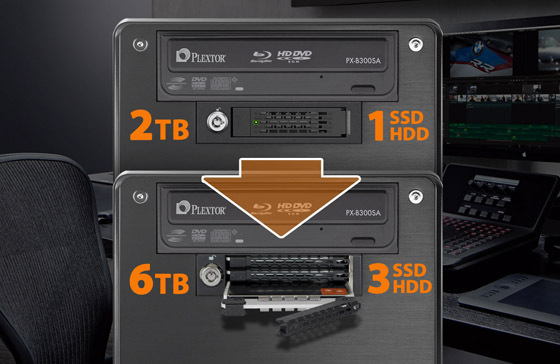 The remaining third drive can be assigned as stationary OS drive or an extra hot-swappable bay. To keep cables from cluttering, a single SATA 4 power pin is used to ease installation. Save as much as space while maintaining the speed and maximizing the functionalities in a limited space, which is the beauty of the MB993SK-B. Making sure your drives are in good hands and lasting as long as possible is carefully considered to any enterprise build and design. The MB993SK-B is capable of holding up in the harshest environments, with the rugged heavy duty metal construction in the entirety of the body and its smaller components. It can be used in various systems including: military and law enforcement deployment, as well as manufacturing conditions such as embedded control systems and factory automation systems. With the full metal design, the ToughArmor is perfect for industrial and medical devices that may require a flammability rating. In order to fit three drives in a compact external 3.5” drive bay is challenging, the MB993SK-B is able to overcome this difficulty by carefully designing the EZ Slide Slim tray. 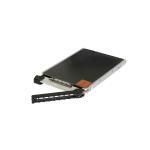 With its durable and slim design, the trays are built with robust solid metal frames to securely mount and protect 5mm to 7mm height HDD/SSD, creating a reliable 2.5" hot swap bay for any standard SATA hard drives and SSDs. The EZ Slide Slim trays make drive interchangeability experience and maintenance completely hassle free. 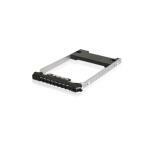 Fits 3 x 5mm to 7mm 2.5” SATA HDD or SSD in external 3.5” drive bay. SSDs are clearly better than HDDs when it comes to performance. Since SSDs have become cheaper over the past few years and now 7mm height 2.5” SSD has reached 2TB storage capacity, it is quite possible that Solid-State-Drives may soon replace the traditional Hard-Disk-Drives. 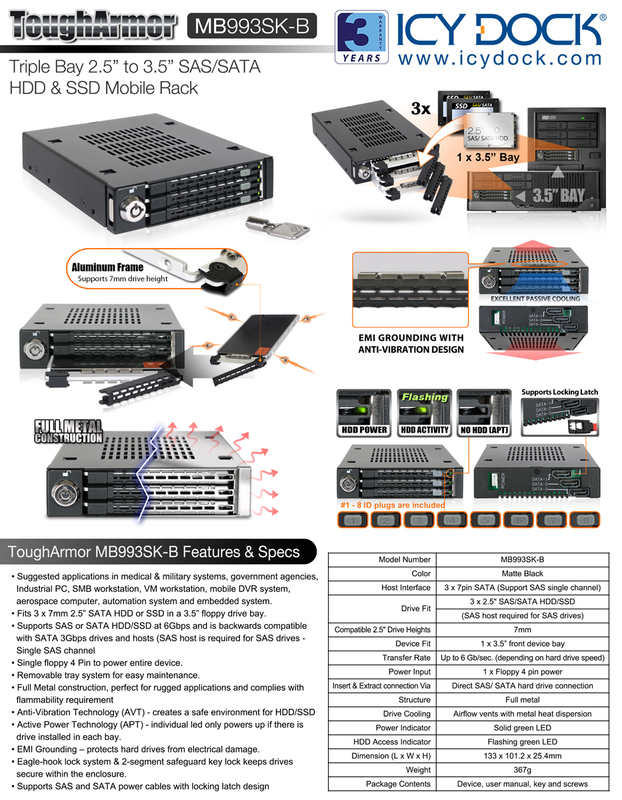 If you are using a single or dual bay 2.5” mobile rack in your computer systems, it is a no brainer that you should, instead, go with ICY DOCK MB993SK-B triple bay full metal 2.5” HDD/SSD cage! The MB993SK-B fits 3 x 2.5” 7mm height SSD/HDD, occupies a single 3.5” front device bay only and allows you to squeeze up to total 6TB storage capacity without taking too much physical space from your system. All of this while retaining an easy to access cage for your drives that allows for easy drive swaps. This is a perfect device for high-end computers and enterprise systems such as Gaming PCs, Image Processing Workstations, Industrial-PCs (IPC), mobile DVRs, mobile computers, embedded systems and other Small-Form-Factor (SFF) systems. 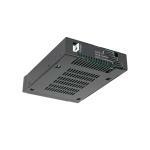 Click HERE to go to MB993SK-B product page. 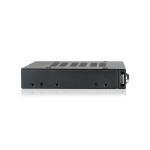 To get the best bang for your buck, ICY DOCK offer cost-effective solutions to accommodate your data storage needs! 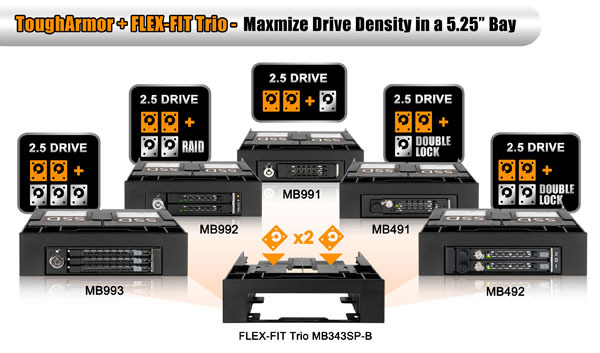 By using a simple, yet functional 3.5" bay to 5.25" bay mounting kit, the FLEX-Fit Trio MB343SP, you can easily transform a 5.25" inch external drive bay in to a storage workhorse. 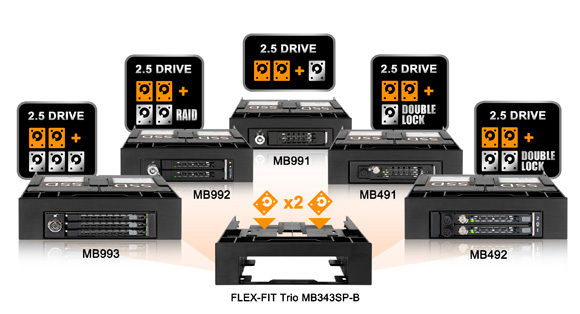 Not only FLEX-FIT Trio accommodates 2x 2.5" SSD with tool-less drive installation design, it also allows placement of a 3.5" device bay, such as ICY DOCK's ToughArmor 2.5" drive mobile racks. This is where ICY DOCK's 3.5" ToughArmor series shines. 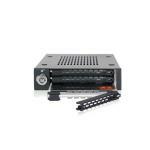 By allowing a maximum of 5x 2.5" SAS / SATA hard drives or SSDs of 3.5" ToughArmor mobile rack in a FLEX-FIT Trio below. Let's take a look at them below! The quality of the devices from ICY DOCK’s ToughArmor line of products has yet to fail to impress me. They are practically designed, tough as nails, and straightforward to use. However, the ToughArmor line is targeted more towards enterprise customers and therefore they come with an enterprise grade price tag attached. The ICY DOCK MB993SK-B 3.5” SAS / SATA Mobile Rack is no exception. "If you have a unused 3.5" floppy disk port on your case than this is the perfect upgrade to you system with a substantial storage option.."
Safeguard your patient's critical information and records in an automated dispensing machine with ICY DOCK ToughArmor rugged hot swap storage enclosures.